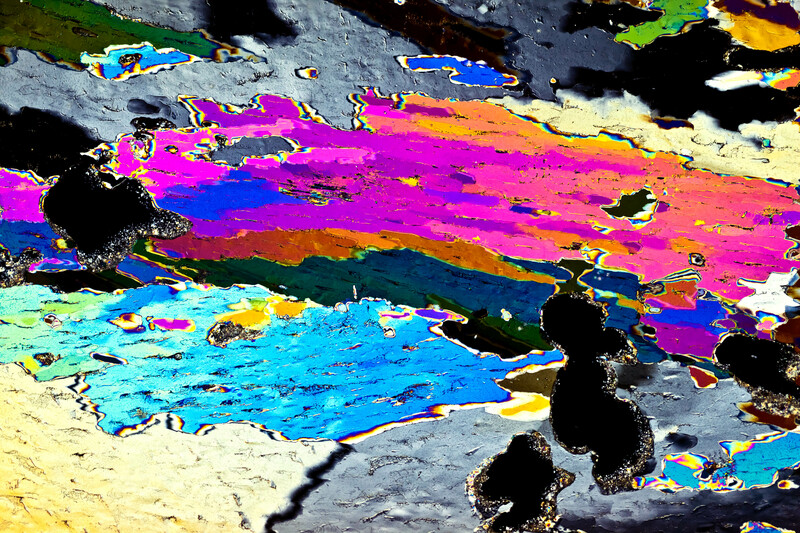 The image shows a very thin (<1mm) layer of sea ice between crossed polarizers. We are able to determine the growth history and other properties of sea ice by this method. What I find particularly interesting is that the image shows how colorful and varied a "bulky object" can be, if you just look close enough. Apart from that, it shows the nature of science, of being able to see the world in a different light even with moderate effort.